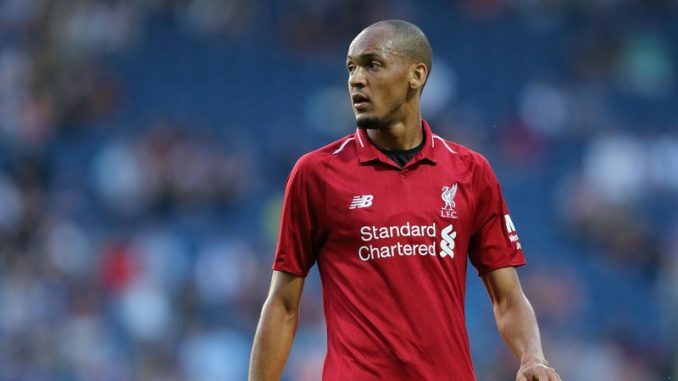 Brazil international and Liverpool all-around midfielder Fabinho has spoken out regarding speculations he could leave Reds in January transfer market. The out-of-favour star arrived from Ligue 1 club AS Monaco in the summer transfer window for a reported fee of £39m and had a slow start to life at Reds. Subsequently, talk had persisted that the 25-year-old star would seek an immediate transfer away from Merseyside, in an effort to receive regular game time. Several European sides were said to be closely monitoring the current situation, including the Ligue 1 leaders Paris Saint-Germain and the Italian outfit AC Milan. Fabinho is slowly being incorporated into German coach Jürgen Klopp’s first eleven, having started three of Reds’ last four Premier League games.